Some Translators of the Quran such as Abdullah Yusuf Ali, Mohammad Picktall, etc have trasnalted the Arabic Word Adna al-Ardi as nearer land. While this is correct, this is not the literal meaning of adna al-ardi. This word, Adna means Lowest. So the correct and literal meaning of adna al-ardi is lowest land and not near land as some translators have translated. The Quran is telling us that the Romans were defeated by the Persians in the lowest area on Earth, which was of course the Dead Sea Shore in Jerusalem. Basically the Quran is telling us that the lowest point on the face of the earth is the Dead Sea Shore in the Jerusalem area. Today it is confirmed that the Lowest point on the earth is the Dead Sea Shore. If you have a topographical globe - topographical globes show the elevations and depressions of the earth - and if you look at where is the lowest point on the earth, you will see that that is around the Jerusalem area. That is the lowest point on the earth. So, the Romans were in fact defeated at Jerusalem, and that is the lowest point on the earth according to the Quran. The lowest point on land on earth is at the Dead Sea, on the border of Jordan and Israel. 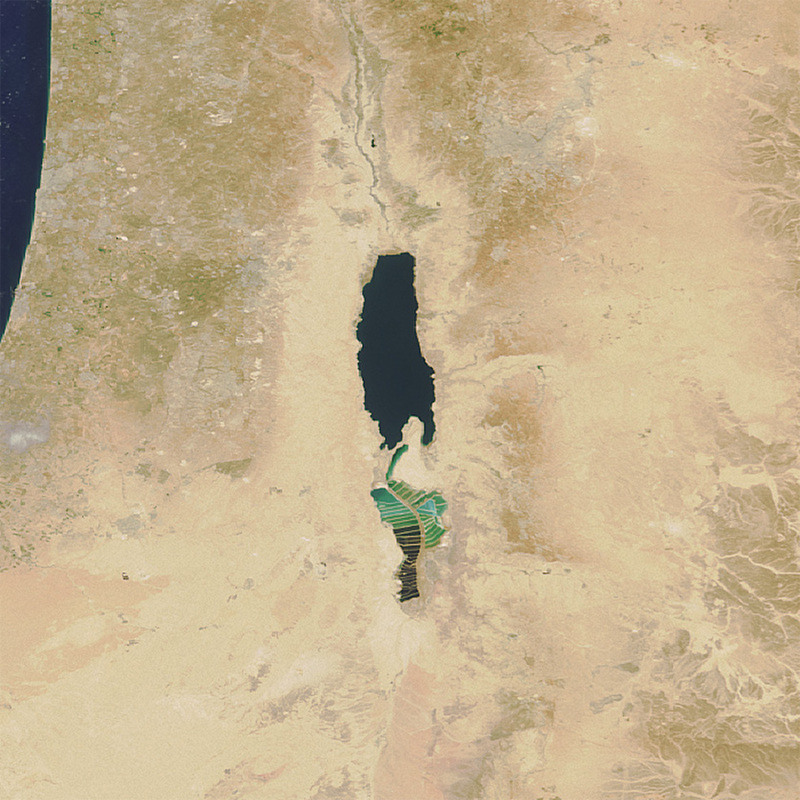 The Dead Sea lies at 1,312 feet (400 meters) below sea level. Nobody 1400 years ago knew where the lowest land on earth is. 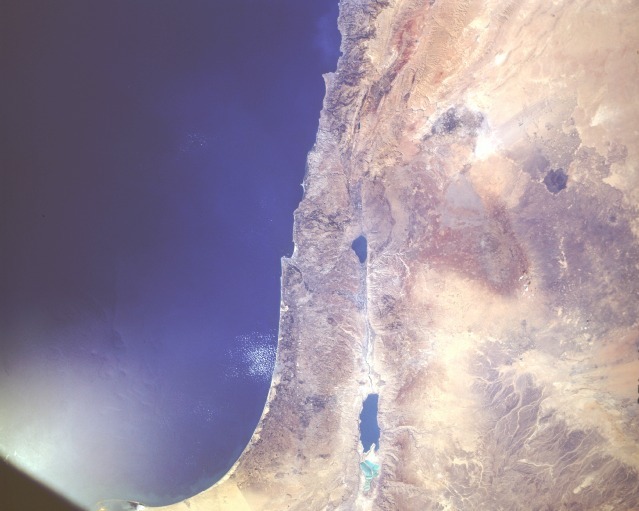 In fact only recently have People discovered that the lowest point on earth is in fact the Dead Sea Shore/ Jerusalem area using satellite technology. How could an illiterate Man like Prophet Muhammad (peace be upon him) know where the lowest land was? Again nobody 1400 years ago knew where the lowest point on earth was. No ancient book (like the Bible, Hindu Books, or ancient Roman/Greek works) mentions the Dead Sea/Jerusalem area as the lowest point on earth. Yet the Quran mentions this. This is proof that the Quran is the word of Allah and there is something supernatural and unique about this book. Subhanallah, This is a unique miracle of the Quran! 5. Arabic-English dictionary the Hans Wehr dictionary , Page 294. 1-Lisan Al-Arab dictionary, by Jamaludeen Abi Alfadl Muhammad bin Makram ibn Manthoor Al-Ansaari Al-Afreeqi Al-Masri, checked by Aamir Ahmed Haydar, and rechecked by AbulMin'em Khaleel Ibrahim, Dar Al-Kotob Al-ilmiyah, Beirut - Lebanon. 2- Al-Qamoos Al-Muheet dictionary, by Majduldeen Muhammad bin Yaqoob Al-Fayroozabaadi, edited by Muhammad AbdulRahman Al-Miraashli, Dar Ihyaaa' Al-Turaath Al-Arabi, Beirut - Lebanon. 3.- Al-Muajam Al-Waseet, by Ibrahim Mustafa, Ahmed Al-Zayyat, Hamid AbulQadir, and Muhammad Ali Al-Najjar, Dar Al-Dawah, Istanbul - Turkey. 4- Al-Mawrid dictionary, by Rouhy Al-Balaabki and Munir Al-Balaabki, Dar Al-ilm Lilmalayeen, Beirut - Lebanon. 5- Arabic-English dictionary the Hans Wehr dictionary, Edited by J Milton Cowan, 3rd Edition, Spoken Language Services, Inc., New York - USA. Greatrex, Geoffrey B. (1998). Rome and Persia at War, 502–532. Rome: Francis Cairns. History of the Byzantine State, Ostrogorsky, p. 95. History of the Byzantine State, Ostrogorsky, pp. 100-101, and History of Persia, Sykes, vol. 1, pp. 483-484. Also see The New Encyclopaedia Britannica, Micropaedia vol. 4, p. 1036.